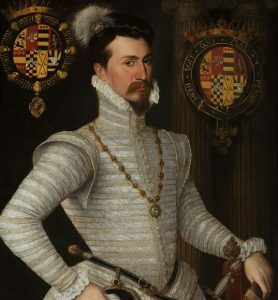 1) (Duke of Northumberland, descended from Sir John Sutton, fourth Lord Dudley, whose second son, John, assumed the name of Dudley; his grandson created Earl of Warwick 1547, and raised to the dukedom 1551, attainted 1553). (Earl of Warwick; the eldest surviving son of the attainted duke was so created 1561, extinct 1589). (Earl of Leicester; Robert Dudley, younger son of the attainted duke, was so created 1561, extinct 1588).Or, a lion ramp. az. double queued vert. 2) (Willingham House, co. Cambridge, bart.). Sa. on a fesse ar. betw. two lions pass. in chief and a sinister hand bendways couped at the wrist in base or, a buck courant gu. Crest—A buck’s head erased ar. attired sa. the neck transpierced with an arrow barbed and flighted ppr. and gorged with a collar gu. pendent therefrom an escutcheon of die second, charged with a hand, as in the arms. 3) (cos. Berks and Buckingham). Az. a chev. engr. voided or. 5) (co. Stafford). Or, two lions pass. az. 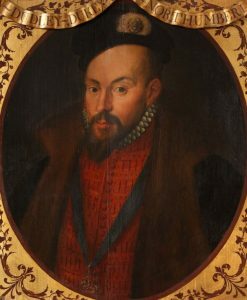 6) (Elmley Lovett, co. Warwick, and Hackney, co. Middlesex; confirmed, 1588, to John Dudley, of Hackney, son of Simon Dudley, of Elmley. Har. MSS.). Same Arms, a bordure az. Crest—Out of a viscount’s coronet or, pearled ar. a lion’s head az. collared gold. 7) Same Arms, the bordure engr. Crest—Out of a ducal coronet or, a lion’s head az. collared and ringed gold. 8) Az. a chev. betw. three lions heads erased or. 9) Or, two bends az. 10) (Bishop of Durham, 1476). Ar. a cross formee ar. 11) Ar. on a chief az. three crescents or. 12) Az. a chev. engr. or. This English and Irish name is a locational last name meaning “of Dudley”, a prominent town and castle in county Worcester. It derives from the Old English Dode-ley, meaning the place of the dead, or a burial ground. In Danish, the word dodelig signifies pale, death-like, or mortal, similar to the German Todlich and the Dutch Doodelijk. In the Domesday Book of 1086 AD the locale was listed as “Dudelei” and in the Assize Court Rolls of 1221 AD it was listed as “Duddele”. Another source states it derives from the Old English personal (first) name Dudda and the word leah (woodland clearing). One source claims Dudda is Germanic and refers to a heavily built man. It literally translates to “Dudda’s glade”. It was adopted by the bearers of the Gaelic Ó Dubhdáleithe ‘descendant of Dubhdáleithe’,which is a first name consisting of the words dubh (black), da (two), and leithe (sides). Some spelling variants include Dudly, Dudlie, Duddley, and Dudleye. The last name ranks Montgomery ranks 246th in popularity in terms in the United Status as of the 2000 Census. It ranks highest in the five following states: Virginia, Maine, Georgia, Alabama, and Vermont. 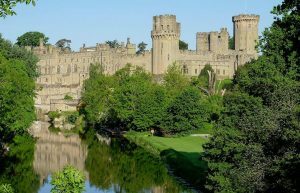 In England, the name ranks 994th and ranks highest in the following five counties: Staffordshire, Warwickshire, Worcestershire, Shropshire, and Bedfordshire. It is also common throughout the English speaking world: South Africa (2,093), Canada (3,279), Australia (1,485), New Zealand (1,320), Wales (850), Scotland (2,133), and Ireland (2,355). The earliest known bearer of this surname was Gladdewin de Duddeleia who was documented in the Pipe Rolls of Staffordshire in 1176 AD. A one Perceval de Duddelegh was recorded in the Testa de Veille (during the reigns of Henry III-Edward I).The Poll Tax of Yorkshire in 1379 AD lists several bearers of this last name: Willelmus Dudely, Isolda Doudley, Johannes Dudly, and Magota Duddely. A one John Dudleye was buried at St. Michael’s Cornhill in London in 1549. An early marriage involving this surname was William Dudley to Mary Foster, at St. George’s Hanover Square in 1789. John Sutton IV became the third baron Dudley and was born in 1361 in Coleshill, Warwickshire, England. He married Joan Crinnton and later Alice Despencer. He had the following children: Robert Sutton, John Sutton Dudley III, Hamon Sutton, and Joan de Dutton. His son John was born in 1380 and married Constance Blount. They had issue: John, Hamon, Thomas, and Humphrey. Sir Edmund Sutton (also known as Dudley) was born in 1425 in Dudley, Worcestershire. He married Joyce Tiptoft and later Matilda Clifford. He had the following issue: Dorothy (Wrottesley), Edward, John, Richard, Thomas, Robert, Jane (Middleton), Oliver, Margaret (Musgrave), George, Alice (Radlciffe), and John. His son Thomas Dudley was born in Yeyton, Cheshire in 1465. He married Margaret Threlkeld and had six children with her: Richard, Elizabeth, Thomas, Winifred (Blencowe), John, and Lucy. His son Richard Sutton Dudley was born in 1500 in Westmorland. He married Dorothy Sanford and had the following issue: Edmund H.S., Eleanor, Elizabeth, Grace, Jane, Robert, John, Anne, and Edmund. His son John was born in 1515 in Newcastle On Tyne. John married Bridget Carre and had a son with her name Robert, who was born in 1540 in the same town. Robert married Anne Wood and had issue with her: Ambrose, Henry, Robert Jr., Edward , Dorothy, and Elizabeth (Hopkins). His son Robert was born in 1575 and married Bridget Greene. They had a son named Edward. Edward was born in 1600 in Northamptonshire and went to the New World. Prior to his 1654 death in Virginia, he left behind three children with his wife Elizabeth Pritchard: Richard, Robert, and William. His son Richard was born in 1623 in Bristol. He married Mary Sewall and had three sons with her: Robert Sr., Ambrose Sr., and Richard. Major Robert Dudley Sr. was born in 1647 in Virginia. He married Elizabeth Ransome Elliott and had four issue with her: Robert, George, Elizabeth, and Averilla. His son Robert was born in 1691 and married Elizabeth Curtis in 1713 with whom he had Christopher and Robert. His son Captain Christopher Dudley was born in 1715 in Christchurch, VA. He married Elizabeth Daniel and had the following issue with her: Anne, Sarah, Linton, Christopher, Agatha, Guilford, Ransom, and Elizabeth. His daughter Anne was born in 1735 and married Henry Meacham Jr. and had a son named Mark with him, born in 1760 in North Carolina who married Winnefred Collier in 1779. The book Genealogical Guide to the Early Settlers, mentions five people bearing this surname: 1) Francis Dudley of Concord who married Sarah Wheeler in 1655 and had issue Mary, Joseph, Samuel, Sara, John, and Francis, 2) Hugh Dudley of Springfield who was employed by William Pynchon who married Mary Copley in 1656, 3) John Dudley (also spelled Deadley) of Charlestown, 1658, who likely married Hannah, daughter of John Poulter and later Martha French, and had children: John (1675), Mary (1678), Nathaniel (1680), Ebenezer (1682), Mercy (1684), Jonathan (1686), Elizabeth (1688), and Naomi (1690), 4) Thomas Dudley, of Roxbury, who was the third Governor of Massachusetts Bay, and was son of Captain Roger, and was born in 1576 in Northhampton England. He served under King Henry IV of France. He came to the New World in 1630 aboard the Arabella and had a mill at Watertown, MA. He had a wife named Dorothy who died in 1643 and he married Catharine, widow of Samuel Hackburne, the next year. He had the following children: Thomas, Samuel, Ann, Patience, Sara, Mercy, Deborah, Joseph, and Paul, and 5) William Dudley of Guildford who married in 1636 at Oakley in Surrey, England and came to American in 1639. He had issue William (1639), Joseph (1643), Ruth (1645), and Deborah (1647). Edgar Swartwouth Dudley was a Colonel in the United States Army. He bore a coat of arms or “family crest” blazoned as follows: Or, a lion rampant vert double queued, with a crest that is a lion’s head erased. He was the son of the Honorable James M. Dudley (1813-1892) and Maria Swartwout. 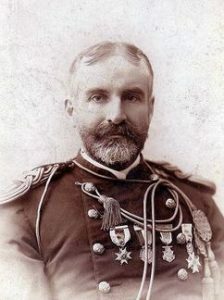 He was born at Oppenheim, New York in 1845 and graduated from West Point in 1870 and also attended Albany Law school and the University of Nebraska. He married Mary S., daughter of Joseph and Mary A. Hillabrandy, in 1870. Andrew Dudley was recorded as living in Virginia (Att West and Sherlow hundred?) in 1623. He came aboard the Truelove in 1622. John Dudley was buried at St. James in Barbados in 1679. Other early settlers include Anne Dudley (Salem, Massachusetts in 1630), Thomas Dudley (Massachusetts 1630), Greenhill and Thomas Dudley (Virginia 1714), Ann Dudley (Philadelphia 1729), and Abigail Dudley (Boston, MA 1766), and John Dudley (Nova Scotia 1750). The Dudley family motto is 1) Droit et loyal, meaning “Just and loyal”, earl of Leicester 2) Galea spes salutis, meaning “Hope is the helmet of salvation”, and 3) Nec gladio nec arcu, meaning “Not by sword or bow”. We have 12 coats of arms for the Dudley surname depicted here. These 12 blazons are from Bernard Burke’s book The General Armory of England, Ireland, and Scotland, which was published in 1848. The bottom of this page contains the blazons, and in many instances contains some historical, geographical, and genealogical about where coat of arms was found and who bore it. Later grantees of arms bearing this last name include: 1) John Dudley Esq., sergeant of her magesties pasterie, s. of Symon, of Elmley Lovitt, Norfolk, Esq. 3 march 1588 by Cooke and 2) William Dudley, of London, captain of ye trained bands, 18 June 1662. Famous people with this last name include: 1) Ambrose Dudley (1530-1590) who was an English general and noble who was the 3rd Early of Warwick, 2) Robert Dudley (1532-1588) who was an English noble that became the 1st Earl of Leicester and was a close and favorite friend of Queen Elizabeth I, 3) Sir Andrew Dudley (1507-1559) who was an English soldier and diplomat, 4) Benjamin Winslow Dudley (1785-1870) who was an American academic and surgeon in Kentucky, 5) Edmund Dudley (1562-1510) who was a financial agent of King Henry VII and Speaker of the House of Commons, and 6) John Dudley (1504-1553) who was an English general, admiral, and politician who became the 1st Duke of Nothumberland.